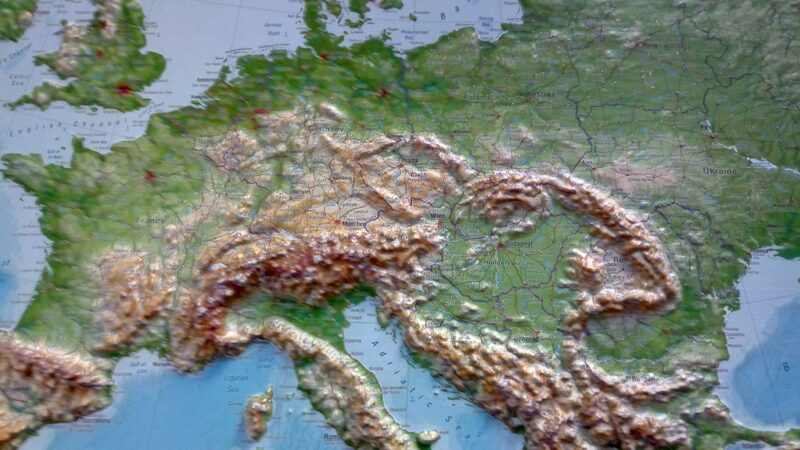 In early February of this year, the four German transmission system operators (TSOs) and TSCNET shareholders 50Hertz, Amprion, TenneT, and TransnetBW had submitted the first draft of the new 2019 version of their “Grid Development Plan (GDP) 2030” together with the Offshore GDP to the German Federal Network Agency. Both GDPs were also published for a four-week public consultation. The total of 906 comments and proposals on both GDPs have been incorporated into the second draft of the two GDPs, whenever purposeful and reasonable. This second draft has now been forwarded to the Agency and published on the joint GDP website. While all the different scenarios of the GDP 2030 meet the official German target of 65 percent for renewable energies in gross electricity consumption, they differ in terms of technologies as well as storage and flexibility options. The TSOs respond in the GDP to the increase in the required transport capacity due to the gap in the German electricity market with the renewable generation mainly in the north and the consumption centres in the south and west. For the second draft of the GDP 2030, the TSOs have taken greater account of the possible German coal exit to ensure that the grid development measures identified in the scenarios are appropriate even in the case of an early and complete phase-out. In all scenarios for 2030, the transmission capacity of the DC connections amounts to a total of 12GW, while the concrete figures for the need for grid reinforcements (2750 to 2800km) and new construction measures (1600 to 1700km) differ slightly. In the second draft of GDP, the TSOs carried out a cost-benefit analysis for a total of eight interconnectors and a reassessment of system stability. This analysis reveals a considerable need for reactive power compensation systems. As a result, the costs for onshore measures in scenario B 2030 increase from €52bn to €61bn compared to the first draft. The Network Agency will now evaluate the revised draft and adapt its own planning, which then must be confirmed by the Federal Government in the official Federal Requirements Plan. Power-to-Gas (PtG) technologies have the potential to compensate for the weather-related volatility of renewable energies. More specifically, PtG can be used to convert sustainable electricity into gas (green hydrogen or methane), so that the gas infrastructure is additionally available for the transport and storage of electricity from renewable sources. The TSCNET shareholder Amprion, one the four German transmission system operators (TSOs), and TenneT, the Dutch-German TSO, are taking the next important step towards implementing the two most powerful sector coupling projects currently underway in Germany: “hybridge” and “ELEMENT ONE”. The respective gas transmission partners of Amprion and TenneT are Open Grid Europe for the “hybridge” project and Gasunie and Thyssengas for ELEMENT ONE. Both PTG plants are to convert up to 100MW of electrical power into gas. Their construction is planned at two different sites in the German federal state of Lower Saxony, each close to wind power generation centres and well-developed gas infrastructure. The grid operators have submitted the necessary investment applications for both projects on 29 March to the Bundesnetzagentur (German Federal Network Agency). If the Agency gives the green light, ELEMENT ONE will be gradually operational by 2022 and hybridge will be fully functional by 2023. Dr. Klaus Kleinekorte, CTO at Amprion, comments on the application, that major PtG projects must now be pushed forward, “if we want to use PtG technology on a large scale in Germany in the 2030s”. 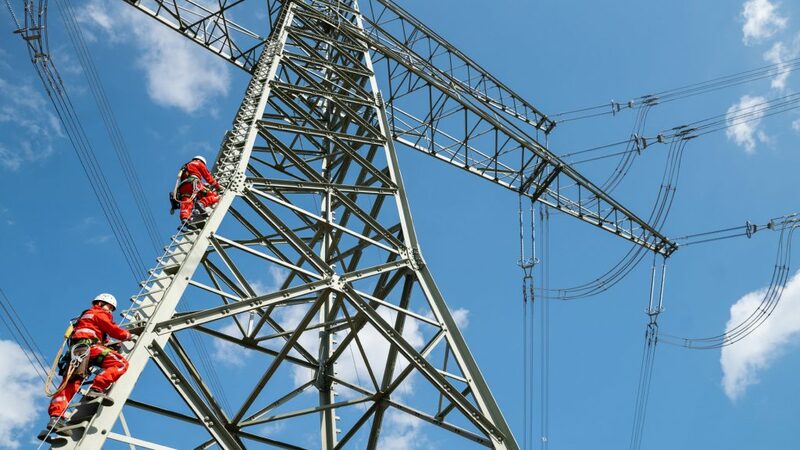 Last summer, TSCNET shareholder Amprion, one the four German transmission system operators (TSOs) for electricity, and Open Grid Europe (OGE), German TSO for natural gas, announced a collaboration in the field of sector coupling by means of power to gas (PtG) facilities. PtG technologies offer promising perspectives for a low-carbon energy future. Now the two partners are ready to launch the sector coupling at system level in Germany with the project “hybridge” comprising an electrolyser in the 100MW class and a hydrogen infrastructure. 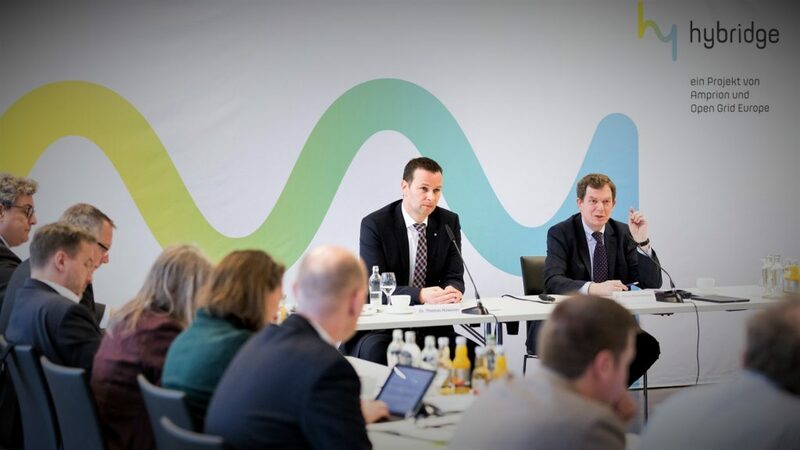 At a joint press conference on 11 February in the German capital of Berlin, the current status of hybridge and further steps were presented. Since the partners, who estimate the costs for the entire project at €150m, are ready to enter the approval phase, Dr. Klaus Kleinekorte, CTO at Amprion, explained that the regulatory framework must now be set up quickly. The more so, as it is crucial for the German climate targets that PtG is available in the GW range from 2030. “The ball is in the court of politics. If the course is set now, the plant can already go into operation in 2023,” commented Dr. Kleinekorte. The ideal location for the first PtG plant in the projected size, in which electricity from renewable energies is converted into green hydrogen and partly further into green methane via an electrolyser, was found at an intersection between the Amprion and OGE grids in the district of Emsland in the northwest of the German federal state of Lower Saxony. 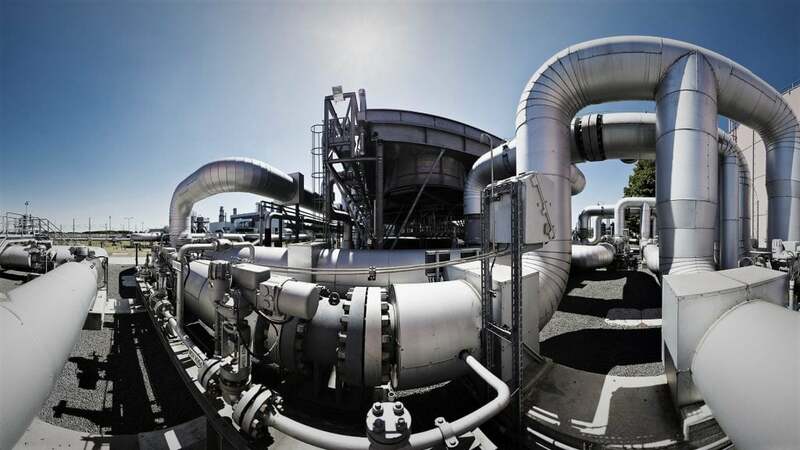 The regional natural gas storage facilities, which can be converted to hydrogen in the future, also contribute to optimal conditions for the development of a hydrogen grid to complement the 100MW electrolyser. Amprion and OGE intend to further develop an existing OGE pipeline for the exclusive transport of hydrogen. The concept of Amprion and OGE for sector coupling at system level also includes non-discriminatory third-party access for all market participants to the planned grid coupling infrastructure. The consortia of two innovative grid-related research projects funded under the EU Horizon 2020 programme – MIGRATE and PROMOTioN – invite to their first joint workshop entitled “Technical challenges and recommendations for the future European power grid”. Both projects aim to maintain security of supply, grid stability and reliability in times of large scale renewable energy integration. 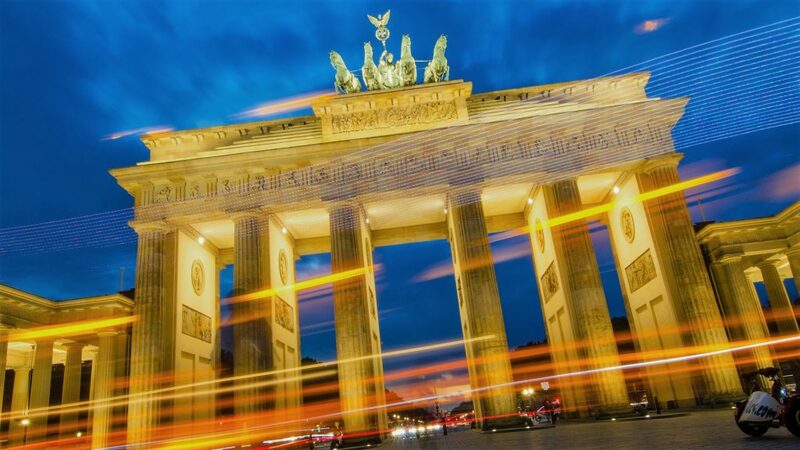 The event takes place on 28 February 2019 at the Maritim Hotel near the Brandenburg Gate in the heart of the German capital of Berlin. 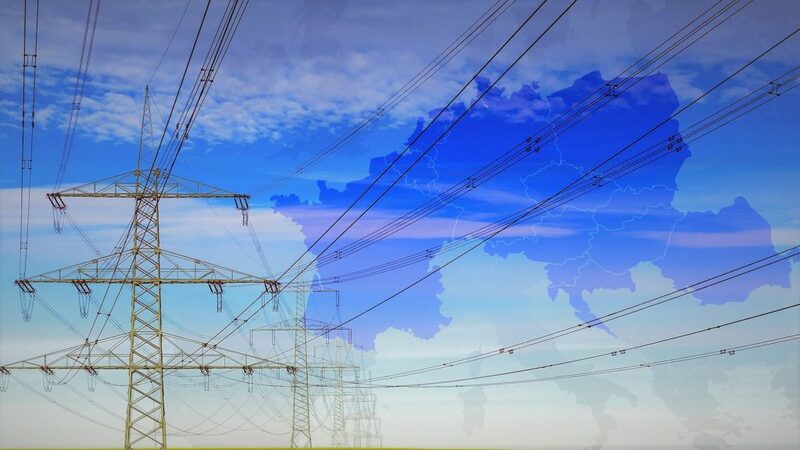 The MIGRATE project (“Massive InteGRATion of power Electronic devices”) comprises 23 partners from 13 European countries, including the transmission system operators (TSOs) and TSCNET shareholders Amprion (Germany), ELES (Slovenia), and TenneT (Germany and the Netherlands). The aim of MIGRATE is to explore technology-based solutions for the current and future technological challenges to the transmission system, in particular by linking generation and consumption via power electronics. 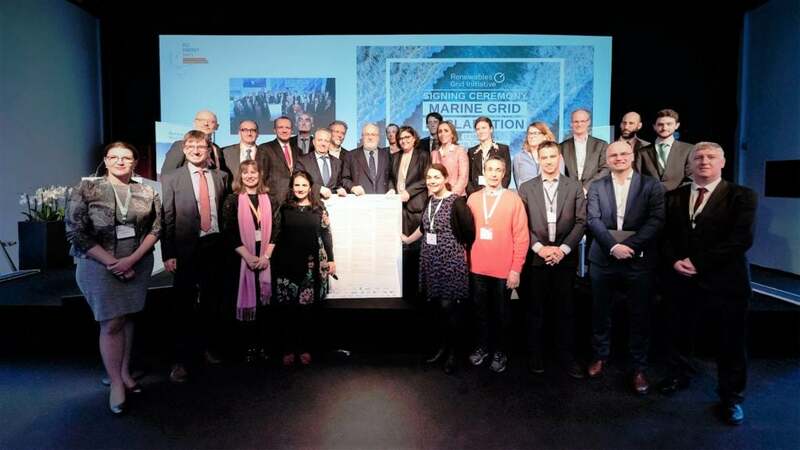 The PROMOTioN project (“PROgress on Meshed HVDC Offshore Transmission Networks”) seeks to further develop innovative technologies relevant for the deployment of meshed offshore HVDC grids. 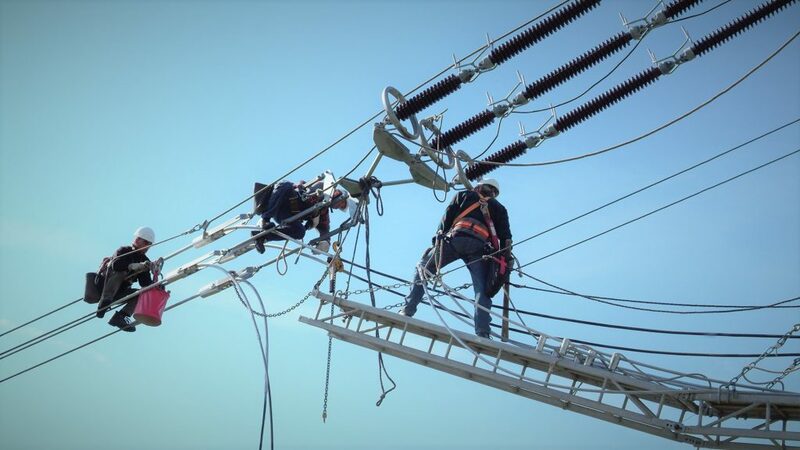 Its specific objective is to improve the cooperation between grid operators and major suppliers for a technical architecture and interoperable technologies to accelerate HVDC grid development. As the largest energy project in Horizon, the consortium includes 33 partners from 11 countries, among them TenneT and further TSCNET shareholder Energinet, the Danish TSO. The successive shutdown of nuclear or emission-intensive large-scale power plants is an integral part of the energy transition in Germany. In order not to compromise the national energy supply security, the German legislator provides for special grid facilities that should not serve the market constantly but be available as a “safety buffer” on short notice and at any time when the power system reliability is at risk. TSCNET shareholder TenneT is facing up to this task of the energy future and plans to commission such a special grid facility in the form of a 300MW gas power plant on the site of the Irsching substation near Ingolstadt in the German state of Bavaria. 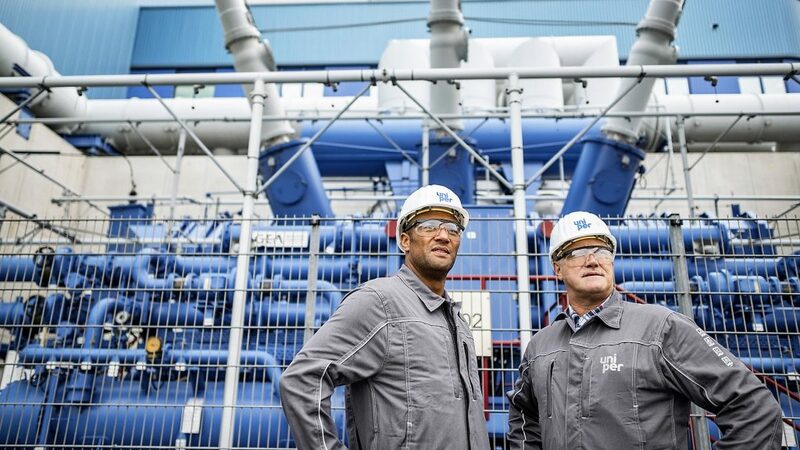 The Dutch-German transmission system operator (TSO) now has awarded the contract for the construction and operation of the plant to the energy company Uniper. Probably from 1 October 2022, the power plant will be on stand-by to serve as a “safety cushion” by supplying power in emergency cases. The new gas power plant can be immediately activated in order to maintain transmission system safety and the current level of reliability of the electricity supply also in the future. From the end of June 2018, TenneT, together with the German TSOs Amprion and TransnetBW, has put out to tender a total of 1,200MW of capacity for special grid facilities Europe-wide and non-technology-specific. The tender covers four regions in southern Germany, each with a capacity of 300MW. For one of these regions, in this case southern Bavaria, TenneT has now awarded the first special grid facility contract. The power line from Reutlingen-Rommelsbach to Herbertingen in the German state of Baden-Württemberg crosses the southwestern ridge of the Swabian Alb on a length of 61km. Dating back to the 1920s, the overhead line operated by Amprion, one of the four German transmission system operators (TSOs), is an innovative pioneering achievement in the German transmission grid. Already in the Weimar Republic (the German state from 1918 to 1933), it was used to balance electricity between generation and consumption by connecting the Rhenish mining area with water storage facilities in the Alps. Now it no longer meets the requirements of the energy present and future. TSCNET shareholder Amprion is therefore dismantling the old line and replacing it with new pylons and conductor ropes. Instead of the current 380 and 220kV circuits, the line will in future be equipped with two 380kV circuits. It will then enable an improved exchange of electrical energy between the wind power generation sites in the north, consumers in the residential and industrial areas, and pumped storage plants in the Alps. The line will thus strengthen regional supply as well as supra-regional transmission and is an important component of the energy transition. A symbolic cut of the spade on 23 November in Zwiefalten-Sonderbuch on the Swabian Alb marked the official opening of Amprion’s currently largest construction site. Over the next two years, 221 old pylons will be dismantled and 181 new ones will be built. The key figures of the construction project are impressive: The TSO is investing a total of around €85m, and over 11,000 tonnes of steel, thousands of tonnes of concrete foundation and around 1500km of aluminium conductor rope will be used along the route. Due to the significance of the Reutlingen-Herbertingen line for industrial history, four old masts will be preserved as industrial monuments.